TOPIC 7: NEWTON'S LAW OF MOTION. Inertia is the ability of a resting body to resist motion or a moving body to continue moving in a straight line when abruptly stopped. The more mass a body has, the greater its inertia and vice versa is true. Aim: To verify Newton’s 1st law of motion. Materials and apparatus: Glass, manila card and small coin. A small coin is placed on a manila card and the card is positioned on top of the glass such that the coin is directly positioned over the open mouth of the bottle. 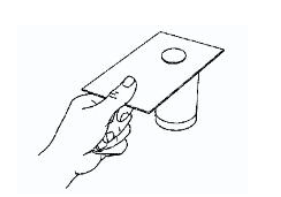 Flick the card at C. Make sure that the card is not tilted by moving the finger in the horizontal plane. Observation: When the card is flicked away quickly by finger, the coin drops neatly into the glass. The coin dropped into the glass because there was no force applied on it when the card was flipped. Conclusion: The coin continued to be at rest as the card was flicked quickly. 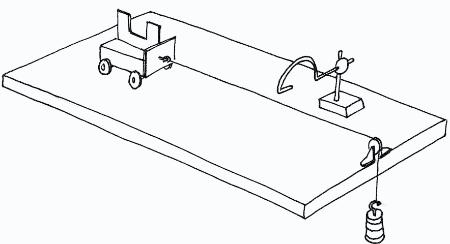 This experiment verify Newton’s 1st law of motion. Linear momentum of a body is the product of mass and velocity of that body. When two bodies, a heavy one and the light one are acted upon by an external force at the same time(collide) the light body builds up a higher velocity than the heavy one but the momentum they gain remain the same in both cases. i.e Momentum before collision = Momentum after collision. This is what we call the conservation of momentum and is described by Newton’s 2nd law of motion. Consider a body of mass, (m) acted by an external force (f) from an initial velocity (u) to the final velocity (v) within a time interval (t). If a mass of 1kg is accelerated with an acceleration of 1m/sÇ then the force of 1N is said to be acting on it. 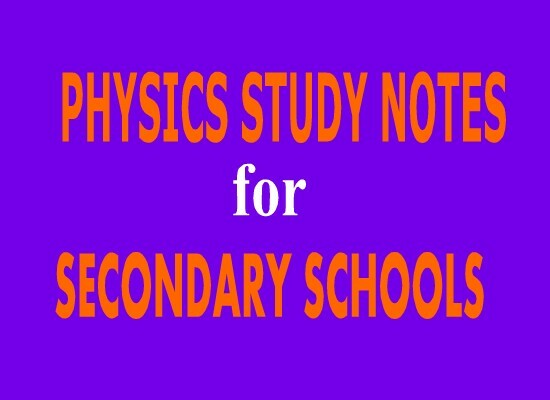 Newton is the force which when acting on a body of mass 1kg it produces an acceleration of 1m/s.. Select the falling mass to be 100 g. Pull the trolley back so that the mass is raised to just below the pulley. Position the light gate so that it will detect the motion of the trolley soon after it has started moving.Set the software to record data, then release the trolley. Observe the measurement for the acceleration of the trolley. Repeat this measurement from the same starting position for the trolley several times. Enter from the keyboard '1'( 1 newton) in the force column of thetable. Transfer 100 g from the trolley to the slotted mass, to increase it to 200 g. Release the trolley from the same starting point as before. Repeat this several times. Enter '2' (2 newtons) in the force column of the table. Repeat the above procedure for slotted masses of 300 g and 400 g.
This is the type of collision whereby each body moves with a separate velocity after collision. In this type of collision both energy and momentum are conserved. 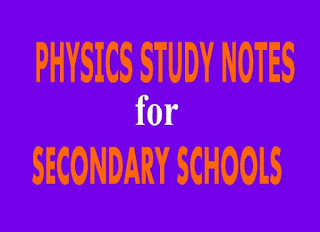 Is the type of collision whereby all bodies move with the same velocity after collision. This velocity is known as common velocity. In this type of collision energy is not conserved, only momentum is conserved. Impulse is the change of momentum which is given asm the product of force and the time taken to change momentum. 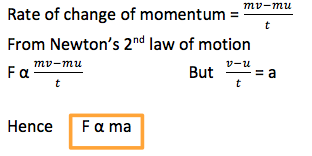 F = mv – mu –Ft is the impulse of a force which is given by mv – mu. Consider two bodies of masses m₁ and m₂ moving with initial velocities u₁ and u₂ and then move with final velocities v₁ and v₂ respectively after they collide one another. Consider a book of mass, m which is at rest on a table. This book will exert on a table with a force equal to its weight. The table exert an equal upward force. The downward force exerted by the book(weight) on the table is known as action force while the upward force exerted by the table on the book is known as reaction force. These two forces acts in opposite direction but they are equal in magnitude. The person firing a gun will feel the recoil when the bullet leaves the gun. Consider a gun of mass mg ejects a bullet of mass mb with a velocity vb and the gun recoils with velocity vg. Temperature is property of a body, which decides which way heat will flow when it is placed in contact with another body. Temperature refers to the degree of coldness or hotness of a body. The SI unit of temperature is Kelvin (K) known as absolute zero or thermodynamic scale. Commonly in thermometers we encounter the unit Celsius degree (0C) another scale is called Fahrenheit scale. A reliable measurement of temperature is done by a thermometer. Thermometers use measurable physical properties that change linearly with temperature to give temperature reading. 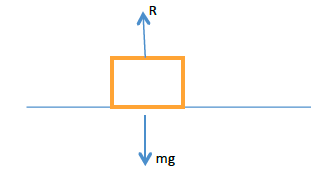 Expansion of strip of two metals. When you want to construct a thermometer you must establish two constant temperatures called fixed points. The fundamental interval of thermometer is the difference between the upper fixed point and lower fixed points. The lower fixed point is the temperature of pure melting ice. Note that impurities lower the melting point of ice. The working of this type of thermometer is based on the fact that liquid expands when heated and contracts when cooled. Examples of Liquid in glass thermometers are mercury and alcohol thermometers. These thermometers have bulbs, which are reservoirs of liquid, and stems with fine bodies through which liquid rises and falls during the variation of temperatures. The liquid used in these thermometer types is called thermometric liquids. i. It is good conductor of heat i.It is fairly a good conductor of heat. A clinical thermometer is a typically a mercury in glass thermometer used to measure human body temperature. As the temperature rises the mercury expands and flows up the capillary tube. However, clinical thermometers have some limitations, they are delicate and can break easily, they may spread infection if not properly sterilised and they do not necessarily reflect the core body temperature.